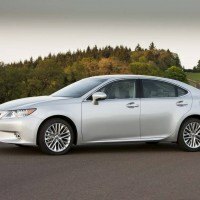 Now in its sixth generation, the 2015 Lexus ES 350 is still the entry-level luxury sedan to beat, but there’s much competition in this segment. 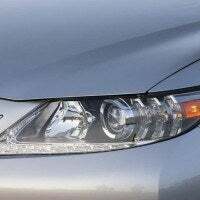 The Acura TLX is another Japanese entry along with the Hyundai Genesis, the Buick LaCrosse and Chrysler 300 are worthy competitors. 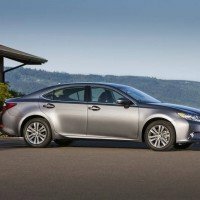 Lexus still holds the keys to one of the best in the segment and for 2015, ES 350 gets a few new upgrades to set it apart from the crowd. 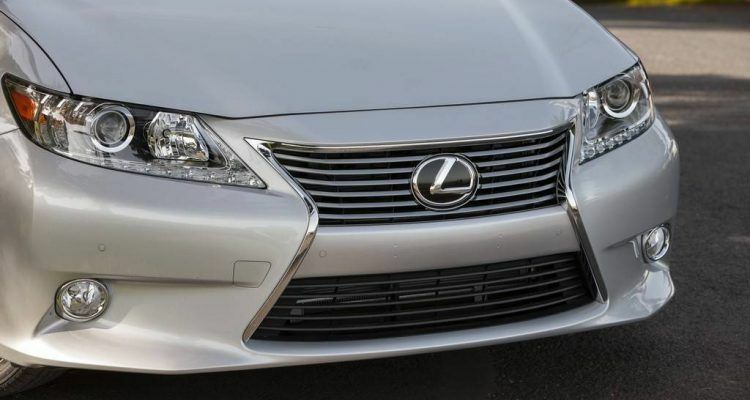 The 2015 Lexus ES 350 gets upgraded upholstery and a standard touchscreen Display Audio tech interface. 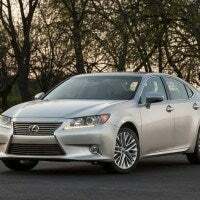 It also gets a few high-tech upgrades to the optional Mark Levinson premium audio system and Lexus Enform Remote is now available and the optional Lexus Enform App Suite adds Slacker and upgrades to iHeartRadio 4.0. This week we’re test driving a Deep Sea Mica ES 350 ($37,550) that comes with a number of optional upgrades. 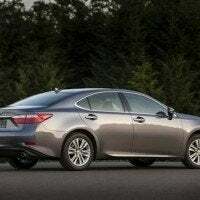 It comes with Navigation w/backup camera ($1,750) that also features voice command, Lexus Enform Destination assist, App Suite and an 8-in VGA screen. 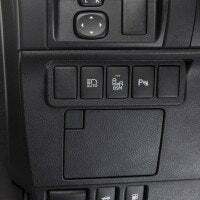 It comes with Blind Spot Monitor ($500), 18-in wheels with liquid graphite finish ($880), heated/ventilated front seats ($640), Intuitive Park Assist ($500), Premium Package ($730) with driver’s memory seat, mirrors and steering wheel, power tilt/telescoping steering wheel and Espresso birds eye maple wood interior trim, and wood and leather trimmed steering wheel and shift knob ($330). Total MSRP, $43,850 including destination. 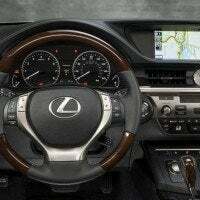 Stepping inside the ES 350 we are greeted with plenty of luxury with NuLuxe synthetic leather upholstery, dual-zone climate control, piano-black cabin trim, moonroof, power front seats, smart key/pushbutton start and power heated mirrors. 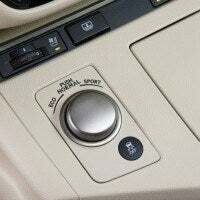 The one thing we missed here in Colorado was the heated steering wheel, but when we turned on the heated seats, we were warm quickly. 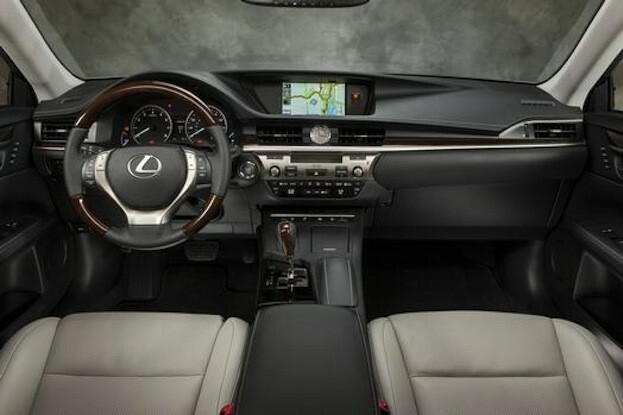 The interior featured real bird’s eye dark maple and the door panels are hand-stitched which definitely creates a more luxurious feel to the luxury sedan. 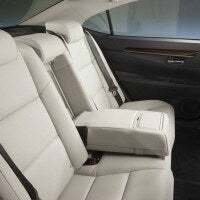 ES 350 features plenty of room in the back seat making it a comfortable place for tall adults to ride in the back. 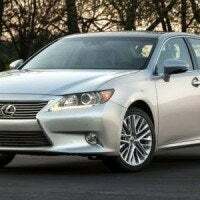 The Lexus ES 350 is powered by a smooth 268-horsepower 3.5-liter V6 and comes mated to a 6-speed automatic. 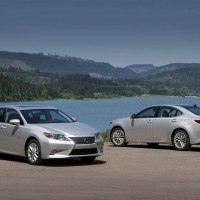 The combination has worked well for Lexus and they keep the same drivetrain without making any changes for 2015. 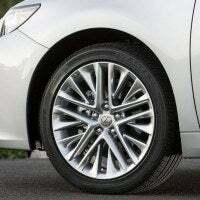 It’s not a sports sedan in power, but it works well for the luxury sedan. 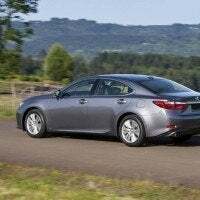 It does provide near best-in-class fuel economy with an EPA-rated 21/31 mpg city/highway. 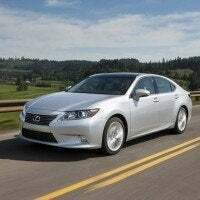 The Lexus ES has always been known for comfort and luxury on the inside and it remains a quiet haven for the driver and passengers to escape the noisy outside world. In the week of driving the ES 350, most of it was spent commuting from the foothills west of Denver, to the city. The ride was comfortable and the quiet cabin keeps things stress free even in traffic. 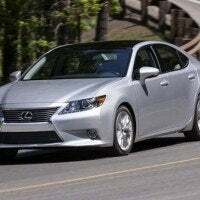 The ES 350 is easy to drive and eliminates many of the negatives from driving. 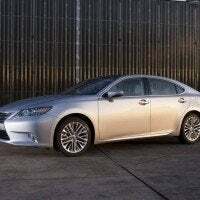 The 2015 Lexus ES 350 is still far more luxury sedan than a driver’s car. 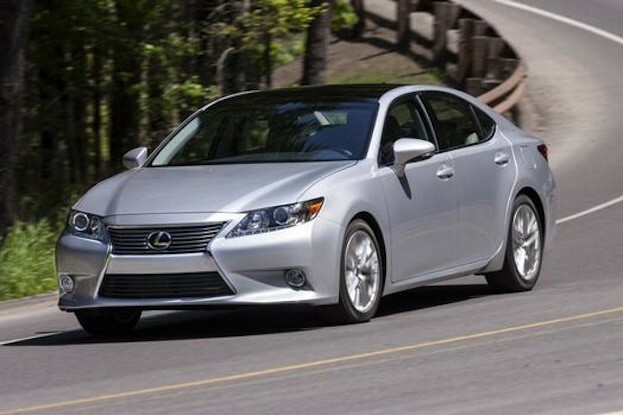 The 2015 ES 350 features front-drive, which automatically takes it out of the sport category. The suspension and steering were updated in 2013, and we could feel the difference in the mountain corners in the foothills west of Denver. 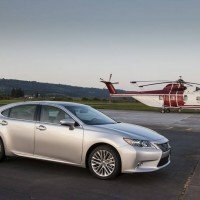 For those looking for pure luxury with some sport, the ES 350 is a good balance. 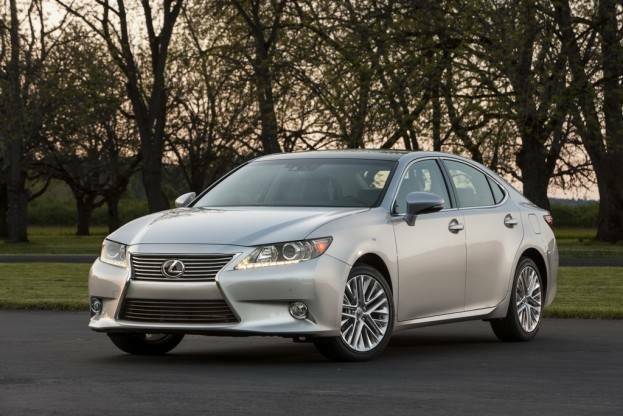 The ES 350 is tuned to deliver a balance between total comfort and handling precision. As we powered through the corners, the steering is accurate and handling precise for a bigger sedan. 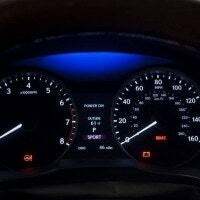 Switching to Sport mode delivers a welcome increase in steering feel over the Normal mode and offers a sportier driving experience. 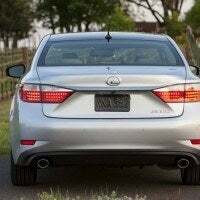 Overall, the ES 350 is an enjoyable car to spend time in. 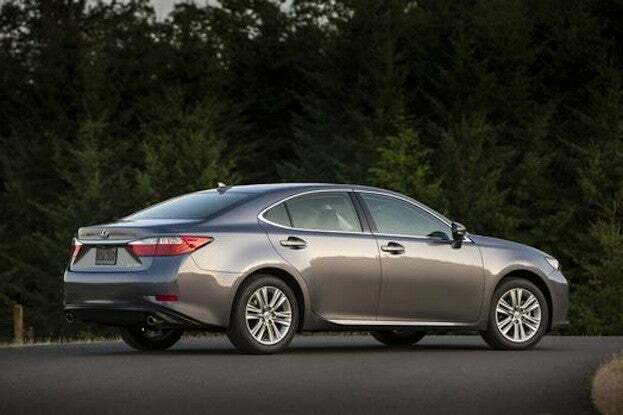 The 2015 Lexus ES sedan is quiet, comfortable, and luxurious on the inside and offers plenty of room for passengers. 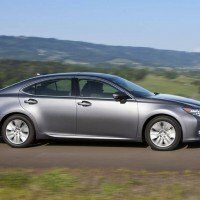 It delivers a comfortable ride, improved handling, very good fuel economy and a reputation for reliability. The ES350 insulates its occupants from the world outside and will transport four adults comfortably and reliably to your destination with minimal distractions from the outside world. 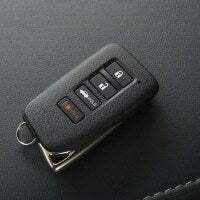 It is roomy, safe, easy to drive and well finished in attractive materials. 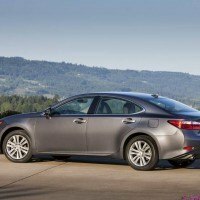 It makes a compelling argument for anyone who needs a four or five-passenger entry-level luxury sedan. 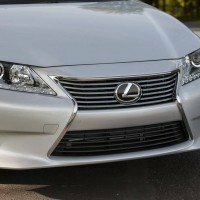 3 Comments on "2015 Lexus ES 350 Review"
The side profile looks like any car. 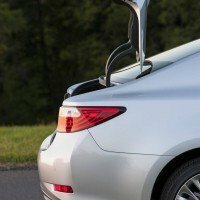 The rear resembles a Camry. The front is a huge mangled hunk of warped plastic. There is nothing redeeming about the exterior visual design of this car. It’s low rent. Agreed, it’s not an ugly car by any means, but certainly doesn’t stand out in any way either. 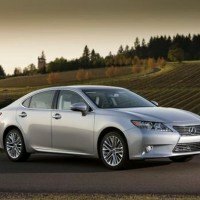 The Lexus ES car has very comfort and luxuries on inside and it offers you plenty of room for passengers in driving times and very safe to use.